I was sent Lipidol’s Overnight Face Oil (R89,95, Clicks) the other day and the found the formula pretty impressive for it’s price point. Essentially, it’s going to do what it says – hydrate your face – using a mix of lipids and natural oils, but they’ve also thrown in some very nice bonus ingredients. Just a few worth mentioning (the ingredients list is a long one) include antioxidant rosehip oil and pomegranate seed oil. Both are full of antioxidant vitamins and essential fatty acids but pomegranate specifically contains omega 5, a nice anti-inflammatory. One top of that, it contains a decent amount of retinyl palmitate, a mild form of wrinkle-busting retinol. Oils well that ends well. Ha. See what I did there? Okay, I’ll stop now. I’m always gung ho for real retinol but do appreciate the fact that those with sensitive skin don’t always tolerate high percentages and, also, not everybody is as hard guns in their approach to fighting the hands of Father Time, or even care to at all. For the record though, Lipidol’s retinol palmitate content is much higher than that of several fancy pants department store anti-agers that cost literally five times as much which just supports what I’ve been saying for years – you don’t have to spend the earth to find good ingredients in decent concentrations. Being expensive and effective aren’t mutually exclusive. 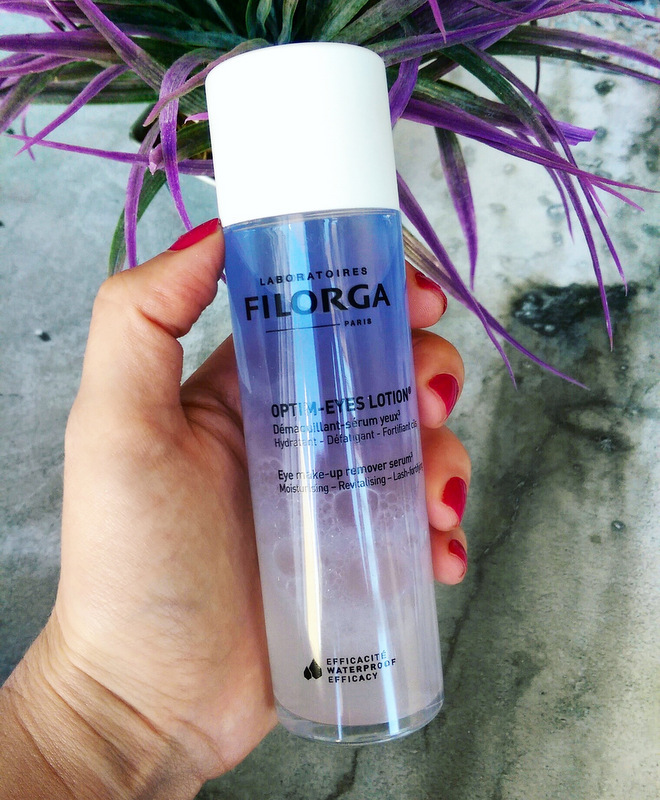 Moving on, let’s talk about Filorga’s Optim-Eyes lotion (R335, Red Square and Skinmiles). An eye make-up remover and serum in one, it’s an oil-in-water lotion that whips off eye make-up (or any make-up, really) that works as a hydrating treatment too thanks to peptides that ‘reduce the signs of fatigue’ while a protein-booster helps condition and strengthen your lashes. I’ve given this a slight shake but when it’s ‘still’ you’ll see three layers. Interestingly, it also contains caper berry extract which is high in antioxidant vitamins and have antimicrobial properties. All that aside, however, I like that this does a great job of taking off make-up, even waterproof mascara, and reminds me a lot of Lancome’s super popular Bi-Facil. Also, at just over R300 it’s not horrifically expensive, considering it’ll last a long time and is priced on par with its glossy competitors. Still, if you don’t have deep pockets consider a drugstore bi-phase eye make-up remover like IQ’s Double Action eye make-up remover (R79,95, Matsimela). It’ll also do a nice job of removing even waterproof make-up and ‘feel’ a lot like Filorga’s remover as it’s got a similar formula (water, oil, silicones and an antioxidant-rich botanical). Just bear in mind that it won’t contain any peptides or protein boosters, things that help justify Filorga’s newbie as worth the splurge. The soak’s pretty simple – Epsom salt crystals mixed with what I assume are ginger and lime essential oils (I can’t find the ingredients list) and a few teensy li’l dried flowers that I could do without. You only need two tablespoons to give your bath water a fabulously zesty scent. See the li’l flower? I picked most of them out. Now how’s this for a fun fact? Epsom salts are high in magnesium which is easily absorbed through your skin and studies have proven you can increase your magnesium levels via an Epsom salt bath! In short, your gran wasn’t talking kak when she told you an Epsom salt bath was a good thing. They can ease aches and inflammation, improve circulation and promote the production of the happy hormone serotonin. Alas, doctors recommend using a cup of salt to get the desired result so if you’re keen on a regular dip I reckon snap up some Epsom salt at Pick n Pay and save your Matsimela bath soak for special occasions. Fun post. A question. Does retinyl pamitate need to be in an airtight, lightproof packaging? Thanks hun! Yes, it does. Air-wise, the bottle should be fine (but a pump would’ve been ideal). Just keep this bottle in its box or in a cupboard or drawer in a room where it’s not being hit by direct sunlight. I thought about mentioning this in the post but am starting to feel like a broken record and felt this product’s price point coupled with the fact that it won’t be bought by die hard anti-agers negated nit picking. Most people will buy this for it’s moisturising properties. But I’m so glad that readers like you are starting to realise that most actives are kept at max potency via airless, lightless packaging! Oooh that bath soak sounds heavenly. 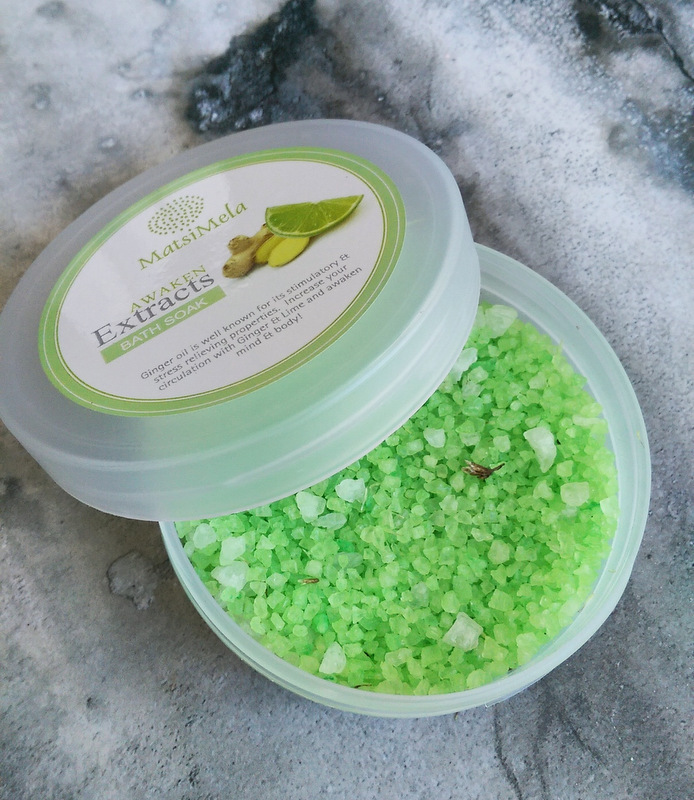 I’m big into my Epsom salt baths – I grabbed a bag of the Dr Teals Eucalyptus and Spearmint Epsom salts from Dischem, but they’re quite pricey, when you consider how much you need to use. So I have a bulk size bag of regular ol’ Epsom salts that I chuck in my bath, along with a single handful of the Dr Teals brand. Same effect, much less $$ spent! Nice! I’m actually also thinking of making my own bath crystals at this point. It seems easy enough, right? Epsom salts, a few essential oils and a drop of food colouring if you reallllly need them to be coloured. Caper berry extract? I love capers in pasta and on pizza. I am eternally fascinated by the ingredients in these products. Great post! 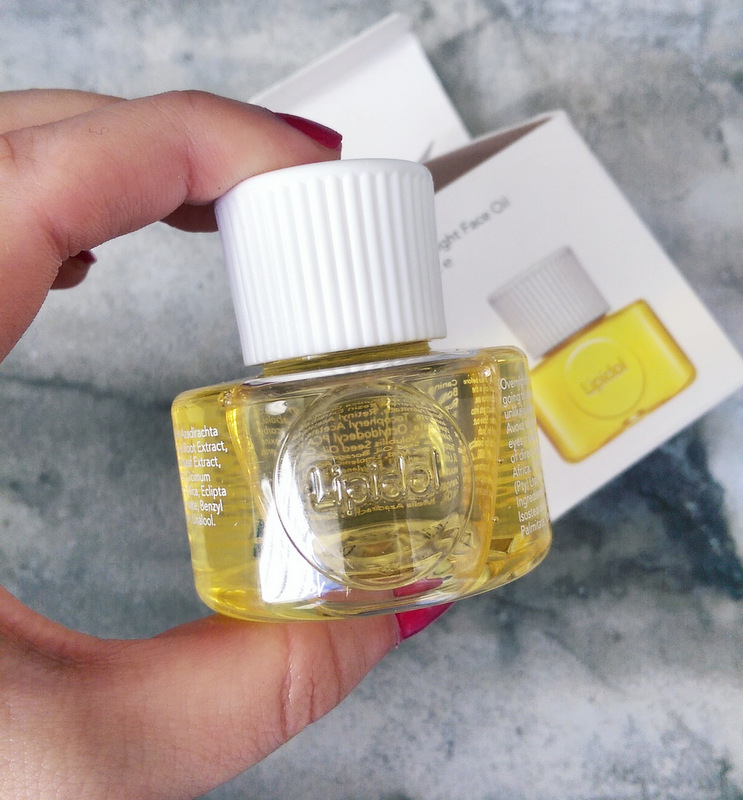 I really wanted to love the Lipodol face oil, because I love essential oils and they’re so darn good for you. But a week and a half later my cheeks are rough and dry 😕 I suppose I’ll be going back to my old fashioned face cream. Ag nee! If you want a moisture boost consider getting a hyaluronic acid serum. I recently reviewed a Skinceuticals one which is brill but its very expensive. If you’re on a budget try L’Oreal’s Revitalift Filler Renew hyaluronic replumping serum. From what I can see it seems to contain the most HA out of all the other serums in the drugstore.